This fall marks the one hundredth anniversary of the end of World War I. The Armistice was signed on November 11, 1918, bringing hope to millions that the misery and heartbreak of the Great War was nearly over. Though the United States was only militarily involved for nineteen months, American citizens looked for any way to contribute, no matter how small. Patriotic Bozeman women were no different, and lent their time, money, and talents to the war effort in a variety of ways. Even before the United States officially entered World War I on April 6, 1917, Bozeman women initiated the formation of a Red Cross Chapter. On April 4, a front-page article in Bozeman’s Weekly Courier reported that a group of local women were hoping to sign on five hundred members. The next week the newspaper proudly reported that this chapter was the first to organize in Montana, and over $500 had already been raised (over $10,000 in today’s dollars). The Gallatin Chapter was officially formed by mid-April, and by the end of the month membership had surpassed one thousand. The Gallatin Chapter of the American Red Cross accomplished many essential tasks during the war, including sending supplies to troops in Europe, sewing bandages, raising funds, and knitting sweaters and socks. Students and faculty at Montana State College also quickly jumped in to do their part. In a May 2, 1917 article titled “Must Mobilize All Montana’s Home Resources” in Bozeman’s Weekly Courier, Bess M. Rowe of the extension department listed fourteen ways in which locals could help. Miss Rowe’s suggestions centered around three principals: cultivation, preservation, and elimination of household waste. The article advocated planting gardens in backyards and vacant lots, involving children in gardening and ranching efforts, preserving and storing locally cultivated food, and using less expensive food products. Bess Rowe also organized a student volunteer corps to instruct local women about efficient canning and food preservation practices. In a Weekly Courier article printed on June 20, 1917, the paper reported that over the summer break, home economics students would be available to make home visits (upon request) in their respective neighborhoods to train the public in the best and most efficient canning methods. Volunteers “pledged to ‘do their bit’ by putting in a definite amount of time in their communities.” Local girls involved with this volunteer corps included Nota Prescott (Belgrade), Helen Rose and Ida Truman (Bozeman), and Freda Haffner (Three Forks). In addition to joining Red Cross chapters, donating money, gathering supplies for the troops, and conserving food, some local women also participated in the Great War by enlisting in the Navy. Female military service was rare prior to World War I, but in 1917 determined women enlisted as Navy yeoman and served as stenographers, radio and telephone operators, and even mechanics and truck drivers. Plucky, industrious Catharine Calk was born in 1883 in Kentucky, and appears to have arrived in Bozeman in the late 1900s or early 1910s. In 1914, she was working in Bozeman as a stenographer and rooming at a house on Babcock Street with her brothers. By 1917, Catharine was homesteading her own land north of Miles City in addition to holding a job as a clerk with the State Livestock Sanitary Board in Helena. 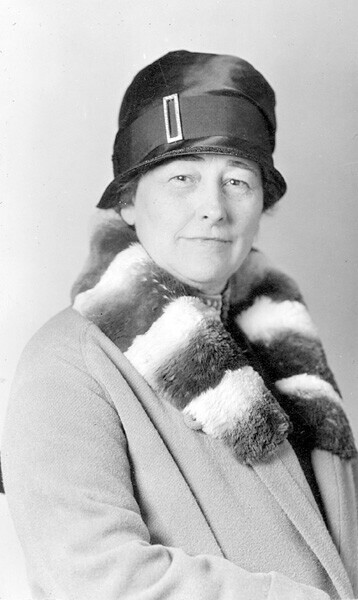 It does not appear that Catharine ever served as a yeoman in the Navy, but she was very involved in the Red Cross and later served in the Montana State Legislature. In 1919, Catharine “proved up” on her 320-acre homestead in Garfield County, Montana, and married Albert McCarty in Glendive in 1921. She passed away in 1991 at age 107 and is buried in Glendive. Like Catharine, Lena Roy was another local woman who enlisted in the U.S. military during World War I. Lena was part of an elite group of women affectionately called the “Hello Girls,” otherwise known as the Signal Corps Female Telephone Operators, which were part of the U. S. Army Signal Corps. By 1917, the military communications infrastructure in France was badly damaged from three years of intense fighting. Brave crews worked to string more telephone lines to boost communication, but U.S. commanders quickly realized new lines weren’t enough. 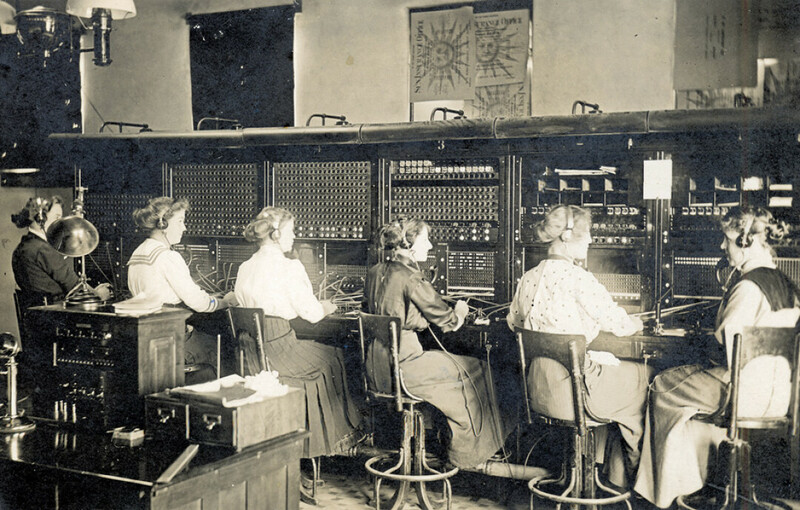 They needed talented telephone operators to handle the large volume of calls between military headquarters and officers on the front lines. In early November 1917, the U.S. military began advertising in newspapers across the country for telephone operators that were fluent in both French and English (“Women Telephone Operators in World War I France,” article by Jill Frahm, 2016). Lena was one of the 223 women who served with the Signal Corps telephone operators in France, and one of five “Hello Girls” from Montana. Lena passed away in 1979, the same year that the Signal Corps Female Telephone Operators were officially recognized by the U. S. Government and given veteran’s status.